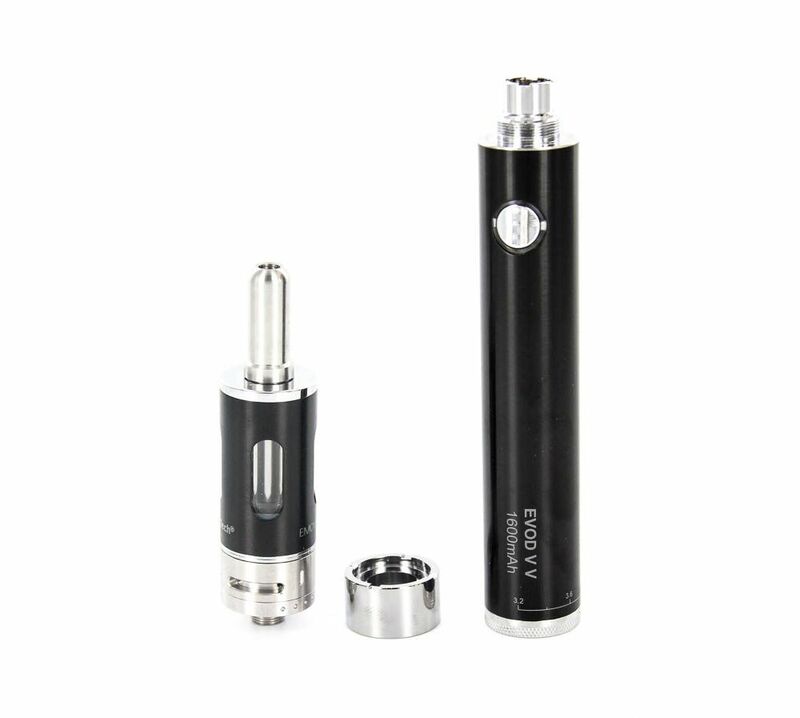 The Kanger EMOW MEGA Starter Kit is not just a clever name, this vaporizer pen is mammoth in size, quality, and features. This kit can produce the big clouds of flavorful vapor everyone wants right out of the box and is made by one of the best names in the business. 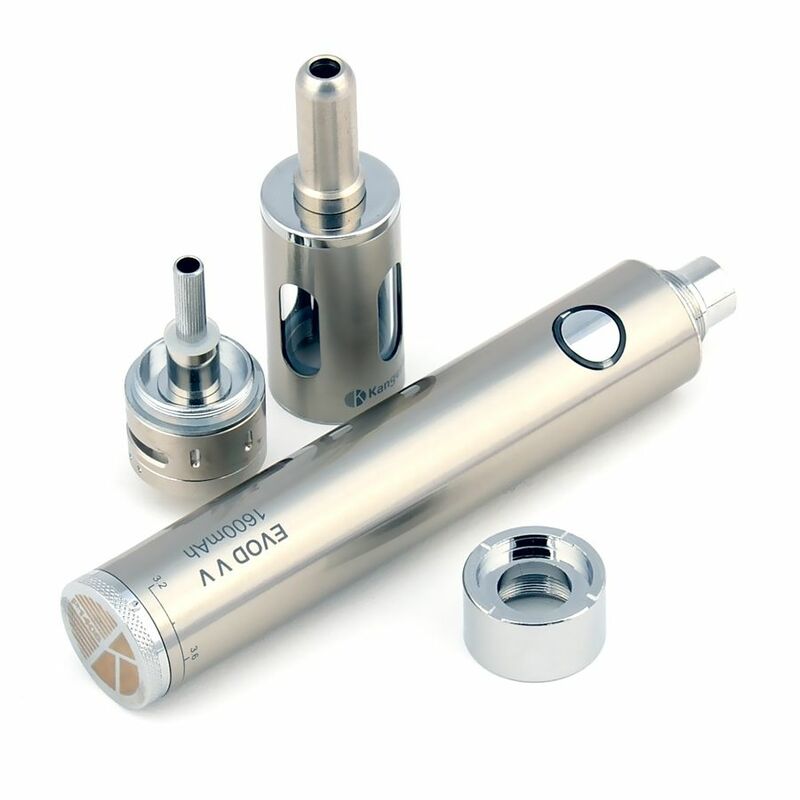 With vapor customization in mind, the EMOW MEGA clearomizer uses an airflow control dial to allow more or less air to mix with your vapor. A ring with a window can be turned right or left to cover or uncover a number of the 5 airflow holes on the EMOW MEGA's base. Covering more holes will allow less air in and produce a tighter puff while exposing more of the holes will allow more air to mix in and create a more airy puff. The EMOW MEGA clearomizer has a large 2.8mL capacity to hold your e-liquid, so you spend more time vaping and less time refilling your e-juice. Four glass windows provide a clear view of your e-liquid level inside so you always know exactly how much juice you have and when it's time to refill. A replaceable dual coil atomizer located at the bottom of the tank ensures your wick is always soaked to produce clouds of flavorful vapor without drying out. Just like all Kanger atomizers, the MEGA coils can easily be replaced and the kit even comes with 5 backup coils to keep you vaping. 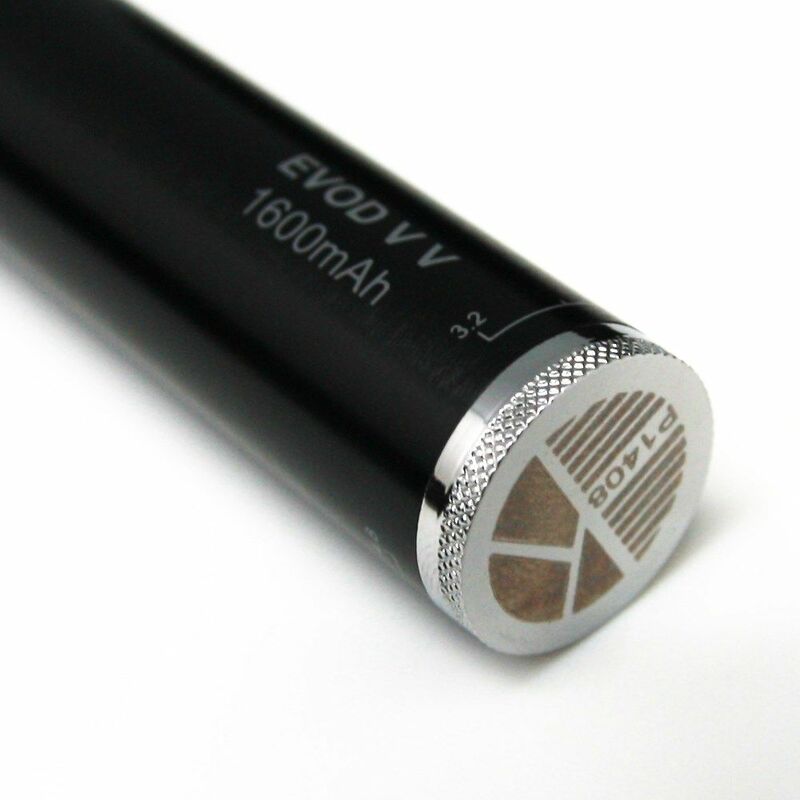 The EMOW MEGA draws its power from a 1600mAh EVOD battery with variable voltage output. 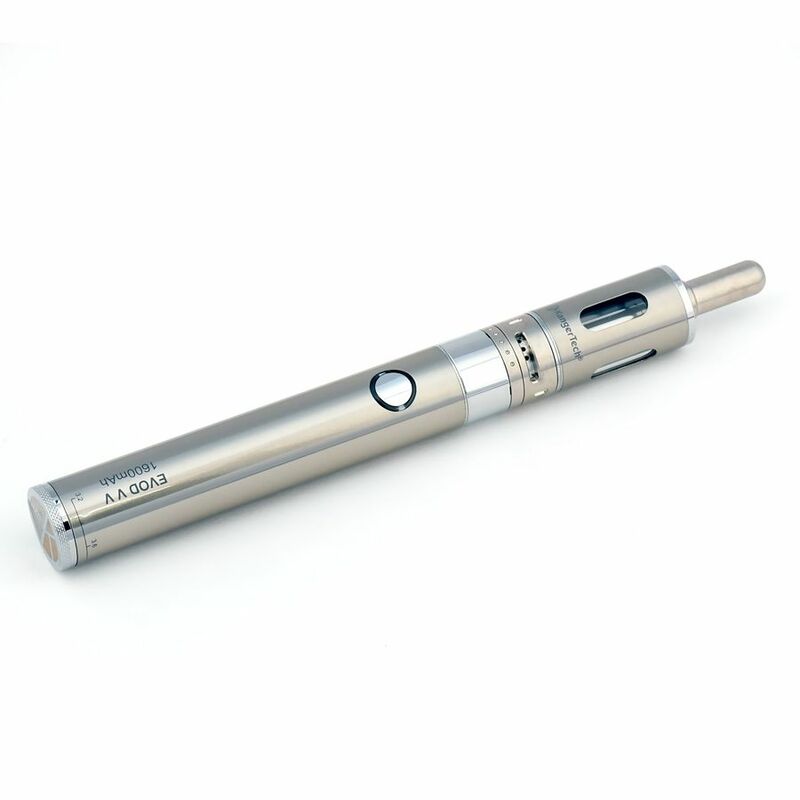 Just turn the dial on the bottom and you can set the voltage output anywhere from 3.2V - 4.8V, allowing you to customize your vapor quality. 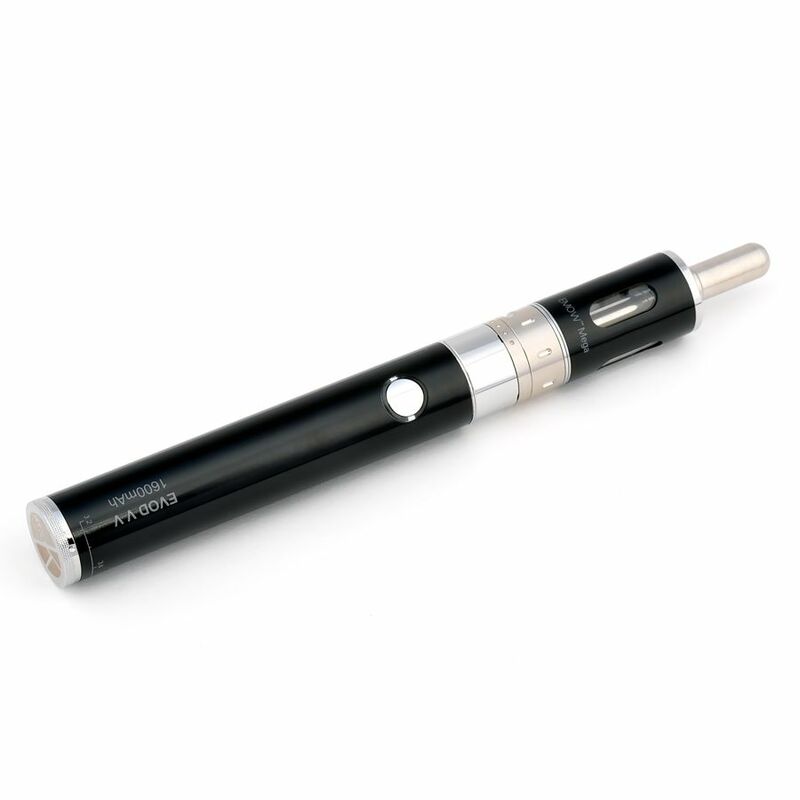 The EMOW MEGA clearomizer and 1600mAh EVOD battery marry beautifully with the help of the included converter ring. This ring covers the battery's outer eGo threading and creates a smooth transition between the top and bottom of the pen. Your EVOD VV battery can be charged in any USB port by connecting it to the charging cord and can even recharge in a standard wall outlet with a little help from the included wall charging adapter. 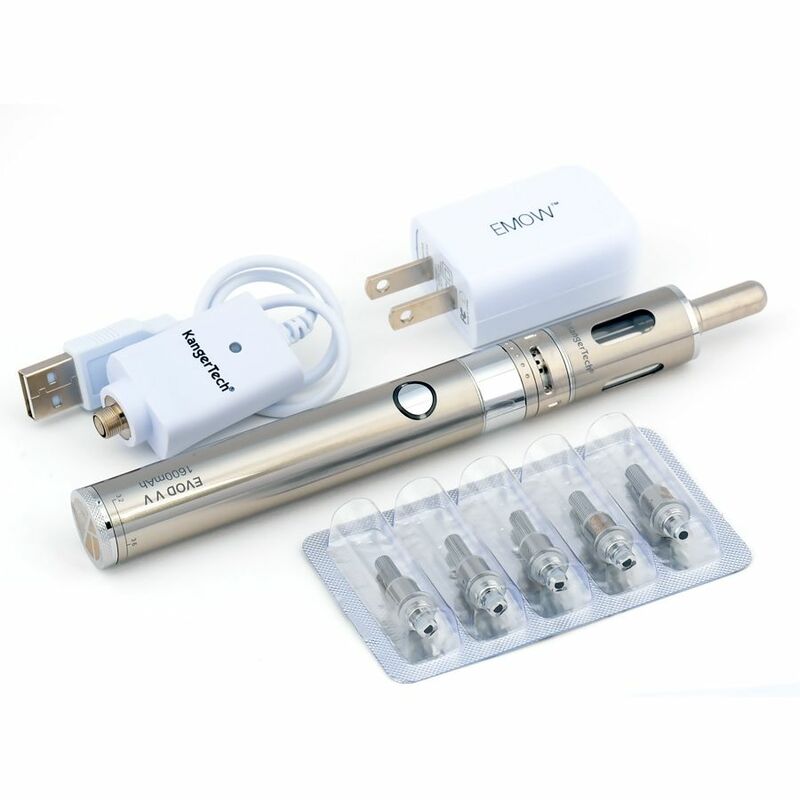 Whether this is your first kit or your looking to upgrade your vaping experience, the EMOW MEGA is easy to use and delivers on all counts of a great quality e-juice vaporizer pen. 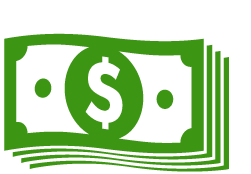 Note: Current set up is intended for e-liquids only. 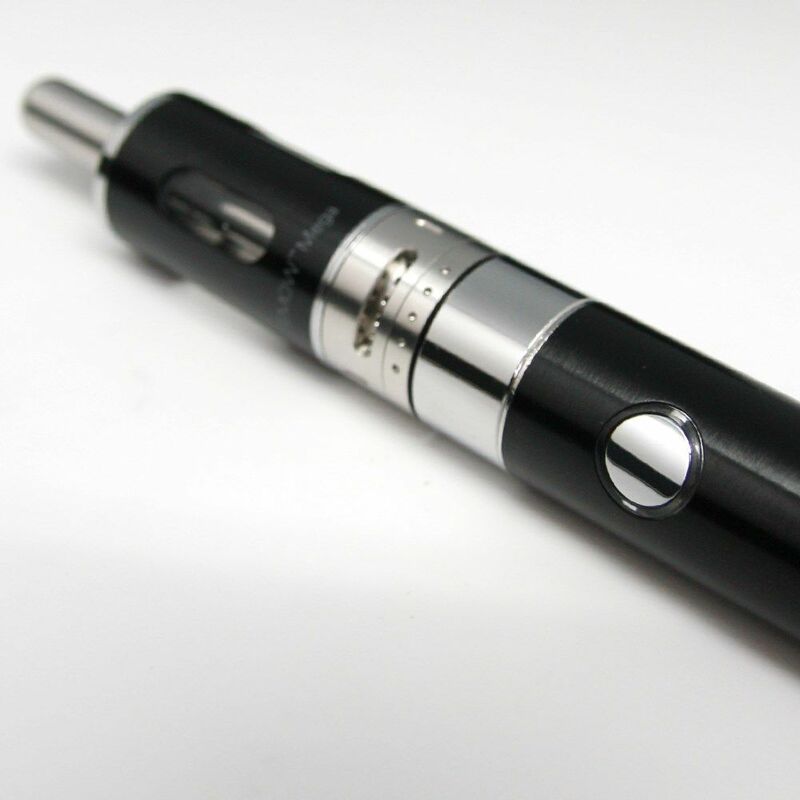 To vaporize other materials please refer to one of the compatible cartridges.